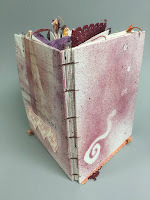 Come and create your own artistic journal! 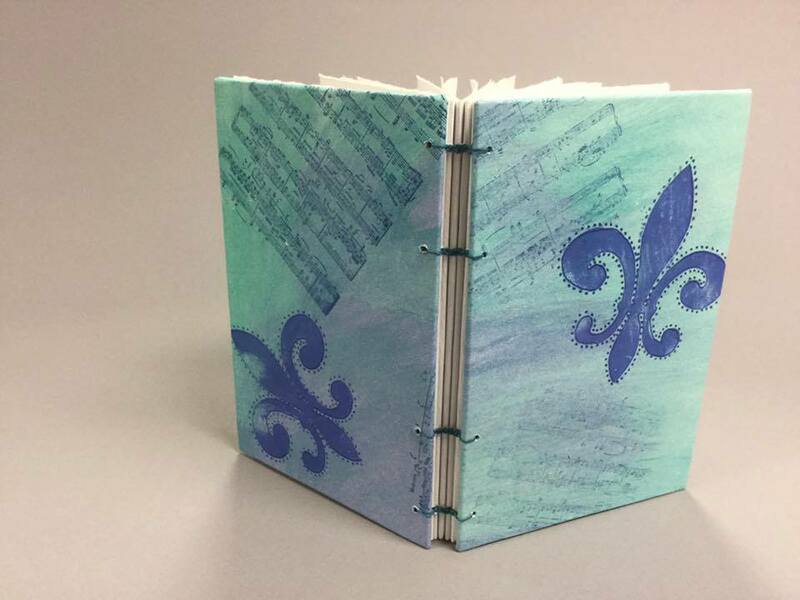 In this workshop we will create personalized covers, tear pages and bind them into artistic journals in which we can record our personal experiences. 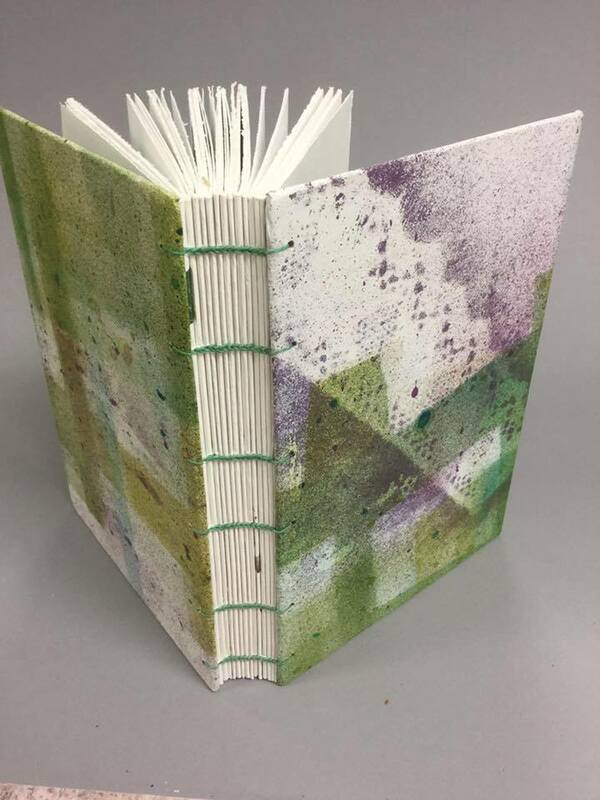 We will create unique and individuals journals using a variety of techniques. 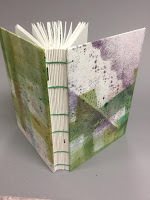 We will be decorating papers to cover recycled book board and then binding the pages with a coordinating choice of colored linen threads. 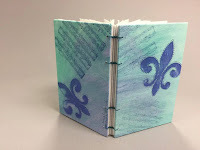 Completed journals will reflect our own individual artistic natures. 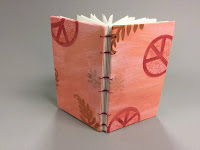 Barb will demonstrate several techniques for decorating, then set students free to decorate paper which will ultimately become the journal covers. 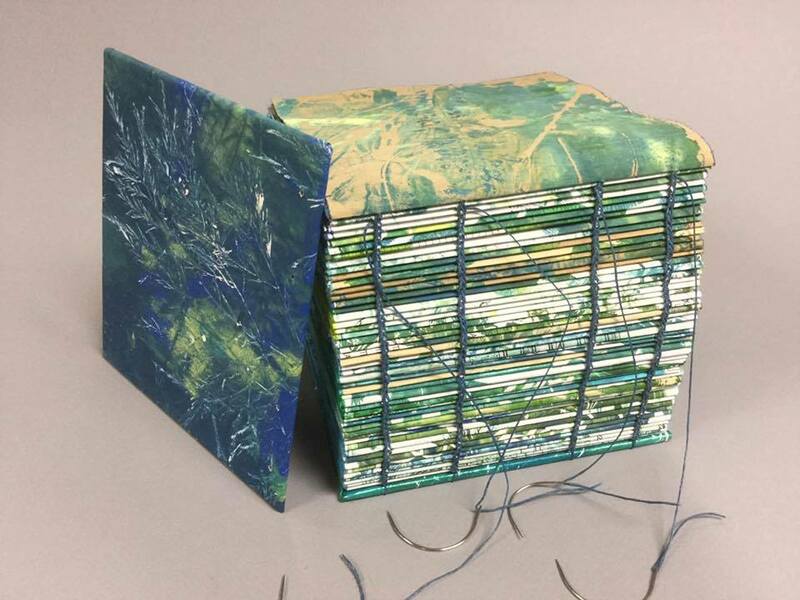 A variety of papers can be torn to use for pages, which will individualize journals even further. 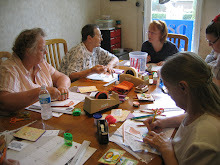 Participants will learn to bind using the Coptic stitch. 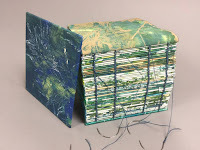 This is one of the oldest kinds of bookbinding stitches known and allows the book to be laid open in a way that easily allows for creative journaling. Experience using needles is helpful but not necessary. All supplies will be provided. 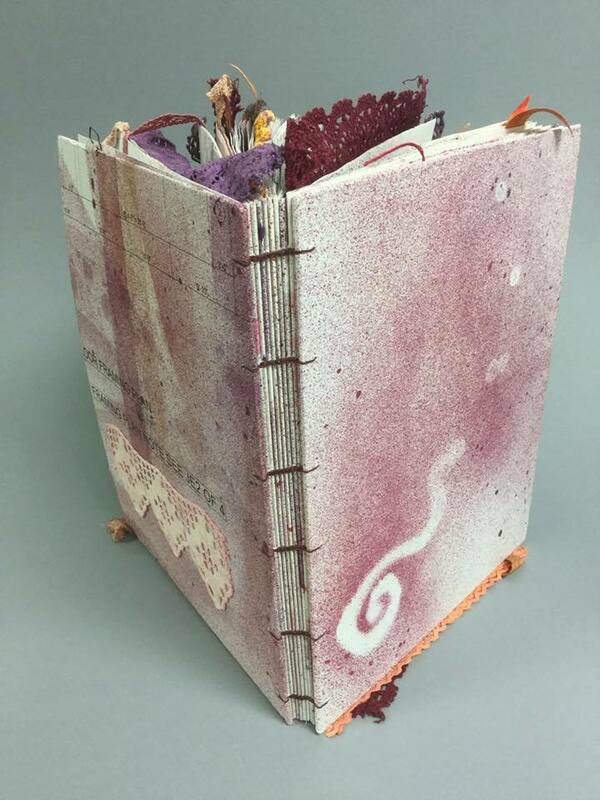 Barb Vee has been making books and journals for more than ten years. She made her first scrapbook with her grandmother before she learned to read. Her grandmother and both of her parents were "makers" and she has followed that pattern her entire life.